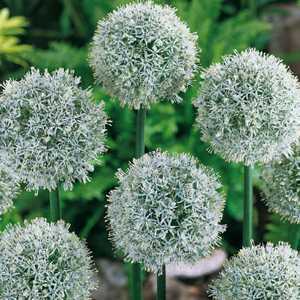 Allium Mount Everest has a white head that will bring some colour back to your garden in the spring. Add height and structure to your borders with these easy to grow bulbs. This has a wonderful shape size and colour. The attractive seed heads will also add autumnal interest later in the season. Plant in the Autumn for best results in Spring.